Happy New Year! We hope 2018 is going well for you — all 11 days of it so far. We hope that you’ll take our advice and forget the resolutions. Think about living intentionally instead. What matters to you this year? Do that. Everyone at Portland Story Theater thanks you for your continued support. We are grateful for you — our listeners, our storytellers, our donors, our volunteers — everyone who believes that supporting this art form makes the world a better place, one real, true story at a time. So thanks. 2017 was a time of change in our world, our country, our city. So we at Portland Story Theater focused on building resiliency. We held on tightly to our vision: to advance, inspire and expand our community narrative, one story at a time – and in doing so, preserve and promote the ancient art of storytelling in a way that enriches modern life, allowing and encouraging people to be vulnerable and present in ways that are crucial to the full expression of our humanity. Coming home to the Fremont Theater! We rang in 2017 by bringing our On The Road show home to the Fremont Theater. We had taken the show out of town to places that didn’t normally get a chance to experience this art form. We traveled up and down the coast and all through the Gorge. It was good to bring this show back to Portland, back home. Everyone loved it! Lawrence Howard created a brand new Armchair Adventure, going bi-polar with the world premiere of Nansen of the North. When we planned the timing of our opening weekend months beforehand, we had no idea that Trump would be sworn in as President on opening night and the Womens’ March would follow the next day. During our 2016-2017 Season, Urban Tellers® happened on the first Friday of every month and February was no exception with the theme “Rites of Passage,” and quite serendipitously included stories from founders Lawrence Howard and Lynne Duddy. 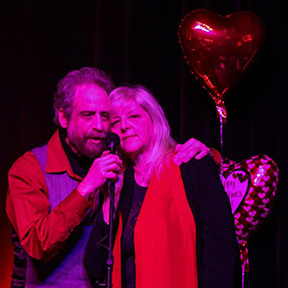 This was followed by our ever-popular Valentine’s show, Kiss & Tell, with special musical guest Eric Stern. As always, the Love Note Lottery was an audience fave and the photobooth was a blast! In March we had the good fortune to take our Urban Tellers® On The Road show to The Dalles. 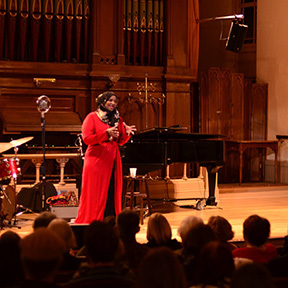 We filled the house, with proceeds going to support the ongoing restoration of the historic Dalles Civic Auditorium. We were delighted to have Steve Lawrence, mayor of The Dalles, in our audience. The luck of the Irish was with us once again in March. Bob Soper and Elizabeth Nicholson provided brilliant and beautiful music to accompany our stories, and a couple of salty limericks were heard as well. 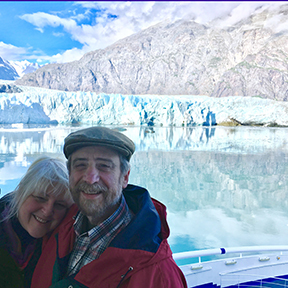 Later in the month, Lawrence was honored to have the chance to interview Paul Watson, journalist, historian and author of Ice Ghosts, on Ken Jones’s KBOO radio show, Between the Covers. Ice Ghosts is about the recent discovery of a ship that went down in the Canadian Arctic in 1845, on Sir John Franklin’s final expedition in search of the fabled Northwest Passage. Listen to this episode. The increasingly acerbic, anti-immigrant rhetoric of the 2016 presidential campaign and the current administration convinced us that this was the perfect time to celebrate and support immigrants and refugees by hearing their stories. These narratives also enrich our community by helping them realize the humanity we share with our immigrant and refugee neighbors. 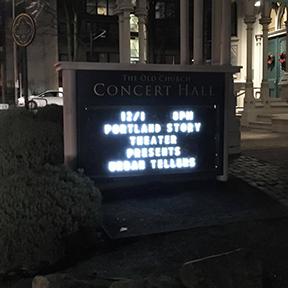 Thanks to generous support from the Oregon Cultural Trust and The Collins Foundation, we presented our first “special edition” of Urban Tellers®, featuring the stories of immigrants and refugees who now reside here in Portland, Oregon. The response was overwhelming: the show we had planned at the Fremont Theater sold out so quickly that we had to scramble to add a second night. Fortunately, The Old Church Concert Hall was able to accommodate us and we filled the house again for a night of memorable stories. In mid-April we brought our Armchair Adventurer series to Bend for the fourth year in a row. The Bend audience loves a good outdoor adventure story and we packed the house at the Cascades Theater for Nansen of the North. We have developed a loyal following in Bend, thanks in part to the on-going support of Shay Knorr of Solo Speak and David Jasper of the Bend Bulletin. In May we had the opportunity to travel to Norway, with stops in Rejkavik, Iceland on the way there and Amsterdam, the Netherlands on the way back. 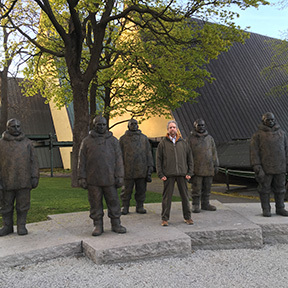 The focus of the Norway trip was the third SouthPolesium — a meeting of Antarctic enthusiasts — at the Fram Museum just outside of Oslo. What a thrill to explore every inch of the Fram, that legendary vessel that carried Fritdjof Nansen across the Arctic on his way to setting a new record for the farthest North (1893) and Roald Amundsen on his historic voyage to Antarctica (1911) when he raced against R.F. Scott to be first at the South Pole. The entire symposium was a dream come true, but dinner on the deck of the Fram was highlight that will not soon be forgotten. It was also in May that Yashar Vasef, our Development and Operations Manager, left Portland Story Theater to go on to other opportunities in the non-profit world. He is now working in Development at the Community Cycling Center! We loved working with him and we miss him, but we wish him all the best at the CCC. Scott Bump, you’ll be missed! We ended the 2016-17 season with a “best of” Urban Tellers®, featuring repeat performances of some audience favorites from the previous year, followed just a few days later by the end-of-year “Thankathon,” a party to thank all our fans and friends and storytellers and volunteers and board members and everyone else who helps make Portland Story Theater happen. It was also in June that Scott Bump, who started out as an Urban Teller® and went on to give us eight years of his time, dedication and extraordinary talent as a photographer, left to pursue other volunteer opportunities, including his involvement with Minds Matter, an organization that mentors high school students and helps them through the college application process. We so enjoyed our time with Scott and wish him all the best in everything that he does. Warren McPherson helping us expand our reach with podcasts. 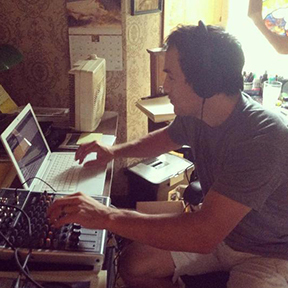 July was the month we started working in earnest toward our new podcast series, also called Urban Tellers®. To create this new podcasting initiative, Portland Story Theater is working with Warren McPherson of Sweetlime Productions as senior editor and creative director. 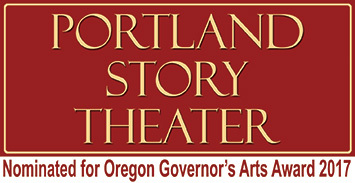 The podcast features stories from the Portland Story Theater stage, each followed by Lynne and Lawrence interviewing the teller about a wide range of subjects, including their inspiration, their process, how the story grew and evolved over time and anything else that comes up in the conversation, all recorded right here at the Story House. Then, one beautiful, sunny day in July we heard a big bang in front of our house and were astonished to see our beloved 2001 Honda Insight, “Jetson,” being pushed down the street, enmeshed in the right front wheel of a wayward garbage truck. Alas, poor Jetson was damaged beyond repair and went to that great junkyard in the sky, Portland Story Theater decals and all. As the saying goes, it’s an ill wind that blows no one some good and in August we got a chance to travel to Alaska, thanks to the insurance money we got following the demise of Jetson (see July, above). Although cruising was not exactly our cup of tea (a little bit too bourgeois for our taste), the 49th state did not disappoint! In many ways Alaska was like Oregon on steroids – bigger, colder, wetter, greener, cloudier. We found the grey skies both comforting and familiar, a welcome relief from the 100 degree heat we had here in Portland this summer. We saw eagles, whales, glaciers calving and salmon so thick in the river it seemed you could walk across their backs to the other side. Beth Rogers dazzling as always! We were delighted to take our Urban Tellers® show on the road again, returning to Dallas, Oregon as the headliner for the third year in a row for their Storytelling Festival. After a search that spanned several months, we welcomed the immensely talented Kimmie Fadem of Just Dandy Photography to fill the void left by Scott Bump’s departure. Kimmie joins Kelly Nissl (beginning with the letter k) as Portland Story Theater’s official event photographers and we are so glad to have her on board. Tonight’s Special, our house band! 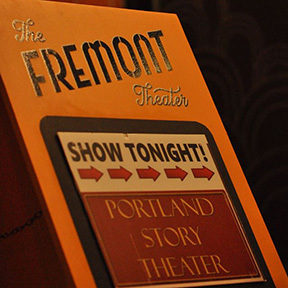 We opened the 2016-17 season at the Fremont Theater on October 6th, with our new house band, Tonight’s Special, playing jazz standards for an hour before the stories began. They are magnificent! 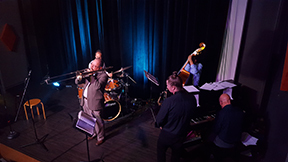 Led by Aaron Mattison (sax), the band includes Roger Paulson (piano), Laurent Nickel (bass), Alan Dragon (percussion), and Bryant Byers (trombone | vocals). Sadly, just before that show we learned that the Fremont was going to be closing its doors in November, for various reasons. We were heartbroken to hear this news, as we LOVED performing at the Fremont and wanted so much for them to succeed. But there was nothing we could do except to offer our heartfelt thanks to David Shur, Johnny Keener and Ruby Fitch, and our best wishes to all of them in whatever comes next, before beginning the long and difficult search for a new venue to call home. Fortunately The Old Church Concert Hall was able to accommodate our entire season and welcomed us with open arms. People have a great time at our shows! In November we were thankful to present our last two performances at the Fremont Theater before they closed their doors forever. This was our second Immigrant and Refugee show, playing to sold-out houses two nights in a row and featuring six of the most profoundly moving stories ever heard on the Portland Story Theater stage. We were also grateful to be asked to be part of Wordstock again, and had a lot of fun putting on a mini-Urban Tellers® event at the Newmark Theater as part of LitCrawl. Special thanks to Heather Wilton for making everything go so smoothly! People just want to tell their stories and be heard. 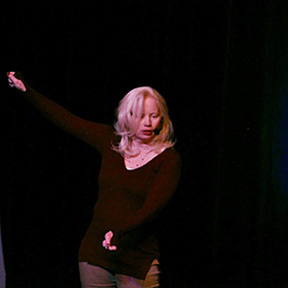 Portland Story Theater knows the power of spoken word and is a standout in giving voice to the real, true stories of the people of Portland. Now in its 14th year, their Urban Tellers® series continues to give people a place to express what matters to them. 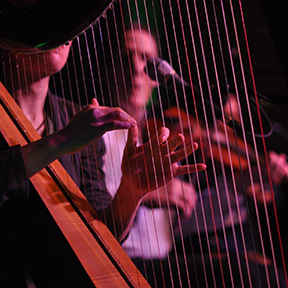 Our first show at The Old Church Concert Hall was a huge success. In this last month of the year we were very pleased to have Alex Tinker join our board. Alex is a young lawyer and one of the brightest people we know. 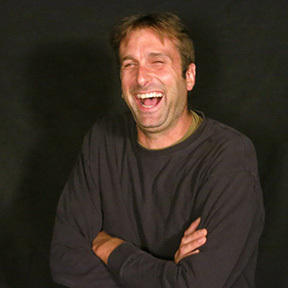 We feel grateful to have him working with Portland Story Theater. Welcome, Alex! We had our first Narrative Network “Soup and Stories” event. 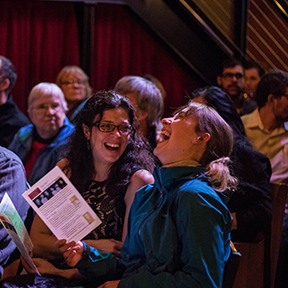 The Narrative Network is a small but mighty group of tellers, friends and fans who support the mission of Portland Story Theater by making a recurring monthly (tax-deductible!!) contribution. Soup and Stories is a recurring monthly gathering where we get together to schmooze, socialize, share a bowl (of soup!! 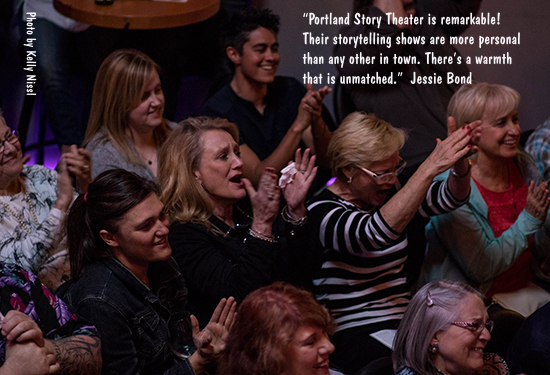 ), swap stories, and enjoy the real, intimate human connection that lies at the heart of the Portland Story Theater experience. The Narrative Network will also be planning a series of outings to see some of the other storytelling shows that are flourishing in Portland. 2017 was a year of change and everyone at Portland Story Theater is so grateful you’re still with us. May the coming year be very good to you and yours. I enjoyed reading your report of the year and about the successes you have had. Congratulations on all that you have created! Your passion shows, that’s for sure. I am sorry I wasn’t in touch much sooner.